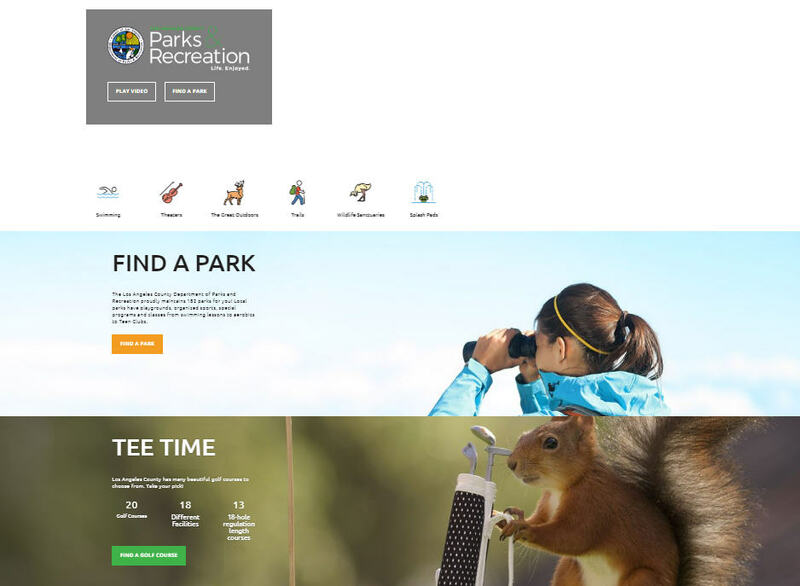 A yearlong project by the Los Angeles County Parks and Recreation Department has reached fruition with the rollout of a slick new multimedia website showcasing the amenities at the county’s 182 parks. The chief information officer of Parks and Rec, Mohammed Al Rawi, told Techwire how it felt to bring new technology to bear with new ideas. The site went live Friday. A yearlong project by the Los Angeles County Parks and Recreation Department has reached fruition with the rollout of a slick new multimedia website showcasing the amenities at the county’s 182 parks. The chief information officer of Parks and Rec, Mohammed Al Rawi, told Techwire in an interview how it felt to bring new technology to bear with new ideas. The site went live Friday. By its nature, the Parks and Rec Department has a more “fun” mission than other, more utilitarian government functions, Al Rawi said. The previous website was dated and too serious, he said. “RD Technology Solutions provided professional services including graphic designers, Web developers, photographers and videographers,” he said. The effort involved staff from Parks including IT, business owners, public information officers and assistants, and members of the public. They formed focus groups and contributed to what the website should look and feel like. But it’s not just pretty video and images. The site offers a search feature based on geographic location, desired activities and amenities, special events, online registration where needed, and a host of other options. “It makes you feel like you want to go to the park!” Al Rawi said. The department's new slogan is posted on the website: “Life. Enjoyed.” Al Rawi said that quick, punchy slogan was chosen because it characterizes the experience he wants the public to enjoy — and because it's succinct. With the yearlong update/upgrade done, Al Rawi was asked what’s next on the horizon that vendors may want to follow. “Our next project, which we kick-started this month (for which we already have vendors and executed agreements), is a [Software-as-a-Service] SaaS-based Enterprise Asset Management implementation to manage inventories and work orders for 182 Parks and Recreation sites. “We’ll implement an Enterprise Document Management System to host the 7 million Parks records that were digitized recently; deployment of the OpenSource Fleet Tracking system that was in development in coordination with Cal State LA. We’re expanding the Drowning Detection System to additional Parks Pools. Also related to the website, we’ll deploy the new Online Registration and Reservation System, with user- and mobile-friendly systems.